As winter sets in, more number of patients suffering from swine flu (H1N1) are getting admitted at Gandhi Hospital which is nodal centre for swine flu. HYDERABAD: As winter sets in, more number of patients suffering from swine flu (H1N1) are getting admitted at Gandhi Hospital which is nodal centre for swine flu. 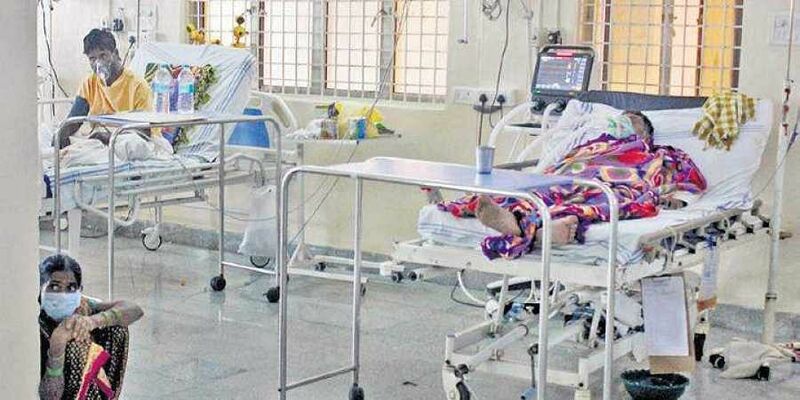 While a 56-year-old woman suffering from the flu has died On Thursday, currently 11 patients are undergoing treatment at the government hospital’s Disaster Ward. Of them, four are being provided with non-invasive ventilation, and if their condition turns serious, ventilation through intubation has to be provided. Test results of two more patients who are suspected to have contracted the flu are awaited. After a person tests positive for the flu, family members and others who were in close proximity to the patient are given prophylaxis to help them avoid contracting the flu. A team checks on people in immediate neighbourhood of the patient’s home to find if anybody else has symptoms of the flu. Symptoms of swine flu includes fever, cough, cold, along with difficulty in breathing, head and body aches, running nose. Dr T Pramod Kumar, Associate Professor in Pulmonology Department at the hospital, said that recovery from the infection is slow in people with diabetes, Chronic Obstructive Pulmonary Disease, chronic kidney disease, those who underwent organ transplantation, asthma and if medical help is not provided on time, it could lead to death.